Luminous colourful fish cavort blithely. Exotic plants wave gently back and forth. Now and then an air bubble rises. The magic and calming presence of an intact underwater world is virtually irresistible. 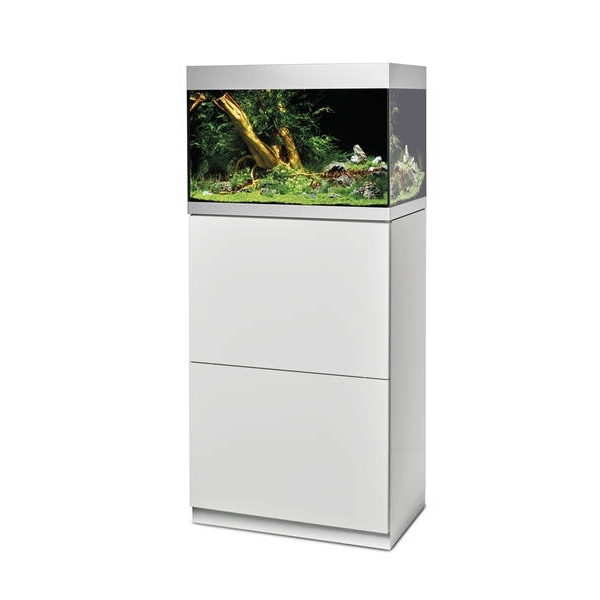 With their well thought-out, discrete design, the OASE HighLine aquariums without visible technology charmingly fit into every residential landscape and at the same time they are real eye-catchers. 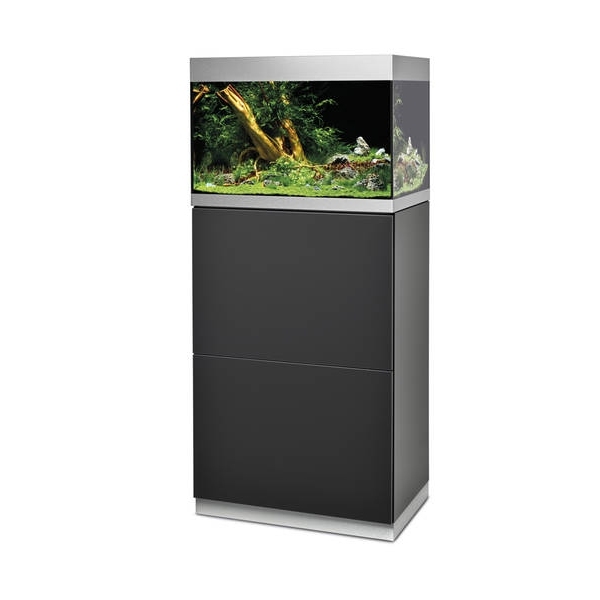 Start your personal expedition into the underwater world now and discover the OASE HighLine aquariums with sophisticated features. Gazing into an aquarium takes you to a different world. State-of-the-art technology that functions without impairing the enchanting view is demanded. 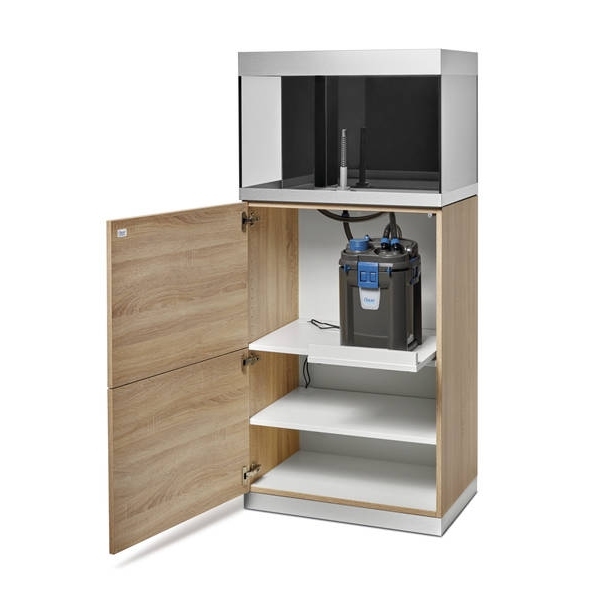 With the OASE HighLine aquariums hoses, cables and filters disappear in the stylish base cabinet. Optimal illumination via LED beautifully sets the stage for life in the aquarium. Hidden technology thanks to the dry shaft and filter intake tubing. Individually configurable base cabinet with practical drawers. Outstanding quality and fascinating design. 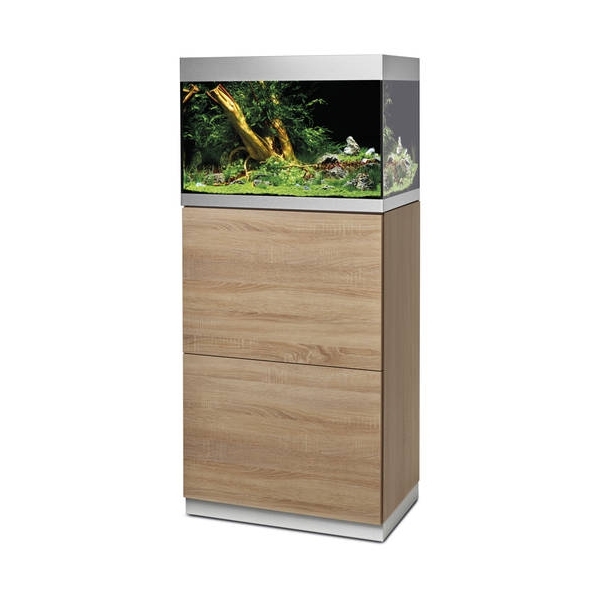 Five different aquarium sizes (125 / 175 / 200 / 300 / 400). Linear furniture design – available in three different decors. Aluminium cover that can be completely opened, aluminium effect strip to cover the gravel and water edge. A dry shaft, as well as floor openings, enable hidden connection of the filter. Installation accessories, hoses and cables are effectively concealed. Feeding flap facilitates distribution of fish food – ideal in conjunction with the FishGuard automatic feeder. Base cabinet with handleless doors and an aluminium strip. 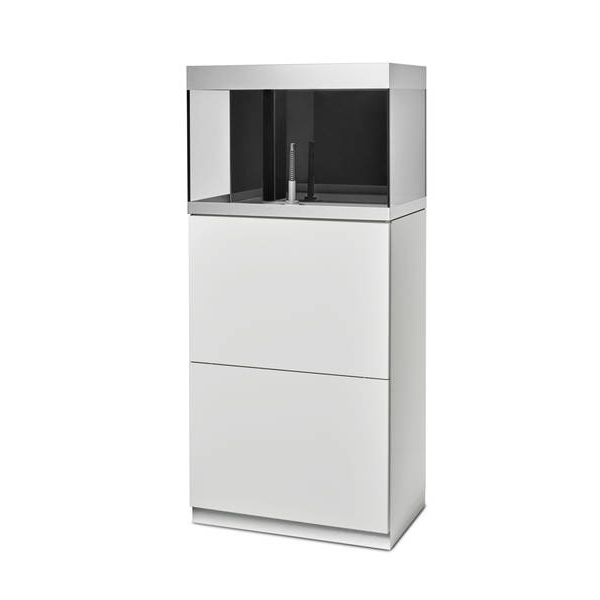 Can be equipped with one or two concealed drawers for convenient storage space (from 200 l). Adjustable feet for optimal stability. Tubing for connecting the filter is included in the scope of delivery.